Many skilled trial lawyers on the plaintiffs’ side have embraced David Ball and Don Keenan’s “Reptile” approach to presenting their cases to the jury. (See D. Ball and D. Keenan, Reptile: The 2009 Manual of the Plaintiff’s Revolution.) The defense bar has noticed, and has been pushing back. We now regularly see defense motions in limine, new-trial motions, and appeals, which argue that “Reptile” arguments are either improper “Golden Rule” arguments, improper appeals to emotion, or that they improperly ask the jury to punish the defendant through their compensatory-damage awards. In this article we explain why the defense attempts to limit the use of Reptile arguments are flawed. In a nutshell, Reptile arguments focus on the need for the defendants to behave in a safe, reasonable manner; and on the consequences to the community when they fail to do so. Applying theories of persuasion to tort cases requires, in a sense, trial attorneys to return to law school. These theories are grounded in fundamental principles of law, embodied in statutes and cases that counsel might not have considered in years or even decades. This understanding of the relationship between the public policy underlying tort law and principles of persuasion is vital, because adversaries will attack arguments based on safety and community standards of reasonableness as something new and untested. In fact, they are quite the opposite. The legal principles are deeply rooted in common law and repeatedly written, cited, endorsed, and applied by courts across the Nation. It is a public policy to promote safety, deter unnecessary dangerous conduct, and to compensate people who are injured by others who acted unreasonably. Evidence and arguments that rest on this principle are completely consistent with the fundamental principles of tort law. The most important of these considerations in establishing duty is foreseeability. As a general principle, a defendant owes a duty of care to all persons who are foreseeably endangered by his conduct, with respect to all risks which make the conduct unreasonably dangerous. Raymond v. Paradise Unified Sch. Dist. of Butte County (1963) 218 Cal.App.2d 1, 31 Cal.Rptr. 847 (1963), expounded on the nature of “duty” in a case holding that a school district had a duty to supervise young children who were waiting for a school bus, despite denials that it was aware that they were using a bus stop usually frequented by older students. An affirmative declaration of duty simply amounts to a statement that two parties stand in such relationship that the law will impose on one a responsibility for the exercise of care toward the other. Inherent in this simple description are various and sometimes delicate policy judgments. The social utility of the activity out of which the injury arises, compared with the risks involved in its conduct; the kind of person with whom the actor is dealing; the workability of a rule of care, especially in terms of the parties’ relative ability to adopt practical means of preventing injury; the relative ability of the parties to bear the financial burden of injury and the availability of means by which the loss may be shifted or spread; the body of statutes and judicial precedents which color the parties’ relationship; the prophylactic effect of a rule of liability; in the case of a public agency defendant, the extent of its powers, the role imposed upon it by law and the limitations imposed upon it by budget; and finally, the moral imperatives which judges share with their fellow citizens such are the factors which play a role in the determination of duty. In Bigbee v. Pacific Tel. & Tel. Co. (1983) 34 Cal.3d 49, 56 n.8, 57, 192 Cal.Rptr. 857, 860 n.8, 861, the plaintiff was inside a telephone booth located fifteen feet away from the curb. An intoxicated driver veered off the street and crashed into the booth, injuring the plaintiff. The defendants – the phone company and the company that placed the phone booth – moved for summary judgment, contending that they had no duty to the plaintiff and that they were not the proximate cause of the plaintiff’s injuries. On both points, the defendants argued that the risk of injury was unforeseeable. In pursuing this inquiry, it is well to remember that foreseeability is not to be measured by what is more probable than not, but includes whatever is likely enough in the setting of modern life that a reasonably thoughtful [person] would take account of it in guiding practical conduct. . . . One may be held accountable for creating even the risk of a slight possibility of injury if a reasonably prudent [person] would not do so. . . . Moreover, it is settled that what is required to be foreseeable is the general character of the event or harm – e.g., being struck by a car while standing in a phone booth – not its precise nature or manner of occurrence. Negligence is the failure to use reasonable care to prevent harm to oneself or to others. A person can be negligent by acting or by failing to act. A person is negligent if he or she does something that a reasonably careful person would not do in the same situation or fails to do something that a reasonably careful person would do in the same situation. You must decide how a reasonably careful person would have acted in [name of plaintiff/defendant]’s situation. In conducting closing argument, attorneys for both sides have wide latitude to discuss the case. The right of counsel to discuss the merits of a case, both as to the law and facts, is very wide, and he has the right to state fully his views as to what the evidence shows, and as to the conclusions to be fairly drawn therefrom. The adverse party cannot complain if the reasoning be faulty and the deductions illogical, as such matters are ultimately for the consideration of the jury. . . . Counsel may vigorously argue his case and is not limited to “Chesterfieldian politeness.” . . . An attorney is permitted to argue all reasonable inferences from the evidence. . . . Only the most persuasive reasons justify handcuffing attorneys in the exercise of their advocacy within the bounds of propriety. Defendants often insist that evidence or arguments that emphasize safety and community standards of reasonable care are Golden Rule arguments, and ask the trial court to ban them. Asking for a consensus about what conduct is reasonable to expect from other members of the community, however, is nothing like a Golden Rule argument. The genius of the jury system is that it brings together people of diverse backgrounds and experiences and, together, they determine whether a defendant’s (or a plaintiff’s) conduct was reasonable. It is a determination of whether the conduct was reasonable by the standards expected of members of the community and, if unreasonable, that the defendant should be accountable for the harm it caused. Twelve men of the average of the community, comprising men of education and men of little education, men of learning and men whose learning consists only in what they have themselves seen and heard, the merchant, the mechanic, the farmer, the laborer; these sit together, consult, apply their separate experience of the affairs of life to the facts proven, and draw a unanimous conclusion. This average judgment thus given it is the great effort of the law to obtain. It is assumed that twelve men know more of the common affairs of life than does one man, that they can draw wiser and safer conclusions from admitted facts thus occurring than can a single judge. (Id., 84 U.S. (17 Wall.) at 663-664, emphasis added). There are limits on what counsel can argue, of course. Appeals to bigotry or prejudice, Kolaric v. Kaufman (1968) 261 Cal.App.2d 20, 67 Cal.Rptr. 729, or direct appeals to self-interest of jurors as taxpayers, Du Jardin v. Oxnard (1995) 38 Cal.App.4th 174, 179, 45 Cal.Rptr.2d 48, 50, are unseemly and unprofessional. Such arguments are nothing like advocacy of safety as the reasonable standard of care to be expected of all people. [C]ounsel simply appealed to the jury to vindicate the public policy underlying the overtime laws by holding [the defendant] accountable for the full amount of overtime compensation owing to plaintiffs. We do not view this argument as suggesting that the jury should inflate the damage award or award the equivalent of punitive damages. Hence, it is not improper argument to remind the jury, or even to implore it, to live up to a role that the law already acknowledges. The Golden Rule prohibition cannot be rationally stretched to include arguments about the unreasonableness of the defendant’s choices, even if the implication of that argument is that, with different choices, the entire community will be safer. “Moral blame” and “consequences to the community” implicate judgments of reasonable people, assembled as a jury, to determine reasonable expectations of conduct and behavior of fellow members of the community. Much has been written about the language of responsibility, with the defense taking issue with phrases (taken out of context) such as “hold them accountable” or “tell them” or “send a message.” The contention is that using those words should be deemed misconduct as a matter of law and banned because, so the argument goes, they are the words of punitive damages. Like all words, however, they depend on the context. “Accountable” means “responsible.” To argue that a defendant should “account” for its acts is to argue that it needs to make amends for its acts. Webster’s New World Collegiate Dictionary (3rd ed. 1998), p. 9. Hence, “accountable” or “account” carry no suggestion of punishment, except, perhaps, to the intransigent defendant who insists that it did nothing unreasonable even after the jury has told it otherwise and, thus, sees any compensation as punishment. But trial counsel must be careful not to exhort the jury to inflate the award. Full compensation is one thing; asking for punishment, vengeance or retribution is quite another. No doubt there have been cases in which counsel have beseeched a jury to “send a message” to a defendant by imposing substantial punitive damages. Also, there have been some cases in which counsel have used the same phrase to convey a desire for the jury to add, improperly, a punitive component to compensatory damages. Defendants often point to Nishihama v. City and County of San Francisco (2001) 93 Cal.App.4th 298, 112 Cal.Rptr.2d 861, as authority that counsel’s invitation to the jury to “send a message” renders a closing argument improper. But Nishihama does not hold that “send a message” or “tell the defendant” are touchstones of misconduct. The improper conduct in Nishihama was not the use of that phrase; it was the entire context of the argument, in which the jury was invited to inflate the compensatory damages – in effect injecting a punitive component into the compensatory damages. In the context of a debate about what is reasonable, counsel can justly entreat the jury to choose safety as reasonable care “to send a message” that safety is the standard of conduct that members of a community should expect from each other. To a defendant who argues (and perhaps even believes) that lackadaisical conduct is enough, or that half-hearted measures should be sufficient, it may seem that the message of safety is punitive. It is not. A verdict that holds the defendant accountable for the injuries caused by its unreasonable choices will inherently carry an unspoken message that tells the defendant to change its behavior to correspond with the standard of care in the community. Accordingly, an argument to “tell the defendant” or to “send a message” implicates one of the fundamental public policies of the tort system. The common- sense judgment of the community holds true for a jury’s determination of damages as well. The jury is uniquely qualified to determine which injuries are tolerable or intolerable and, as to the latter, what is fair compensation. Defendants often try to ban Reptile-based arguments by taking issue with consultants and commentators who have studied jury verdicts and the techniques of persuasion. These defense arguments – in particular, motions and objections to ban a plaintiff’s arguments about safety, accountability, and the conscience of the community about what is reasonable – rest on a misguided notion that they are appeals to emotion. Experienced trial attorneys disclaim reliance upon emotion. They endeavor to persuade jurors that safety is the reasonable expectation of all members of the community. A person is negligent if he or she does something that a reasonably careful person would not do in the same situation or fails to do something that a reasonably careful person would do in the same situation. You [the jury] must decide how a reasonably careful person would have acted in [defendant’s] situation. Advocating safety as the standard of care does nothing more than advocate holding a defendant liable for unreasonable conduct, just as the jury is instructed. “The right of counsel to discuss the merits of a case, both as to the law and facts, is very wide, and he has the right to state fully his views as to what the evidence shows, and as to the conclusions to be fairly drawn therefrom.” (Grimshaw v. Ford Motor Co. (1981) 119 Cal.App.3d 757, 798-799, 174 Cal.Rptr. 348, 375 (1981). The argument does not foreclose a defense effort to argue that it chose the safest course, or that greater risk must be accepted and is reasonable, or that there is no safest course. Avoid the debate about the science behind techniques of persuasion. Arguments to the jury do not invoke persuasion or psychological techniques by name, or even refer to such research. Do not be drawn into defending research or psychological principles. There is no legal principle that requires court approval of counsel’s inspiration for an argument to the jury. The plaintiff’s response to such objections is to advocate for the recognized wide latitude to persuade, as long as the arguments are supported by law and evidence. Steven B. Stevens concentrates his practice on appellate, writ and motion advocacy, with special emphasis on medical malpractice and major personal injury. 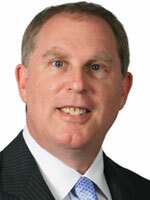 Stevens is Of Counsel to Michels & Lew in Los Angeles. He is board certified in Appellate Law (State Bar of California) and in Medical Malpractice Law (American Board of Professional Liability Attorneys). He has handled a wide variety of appeals in medical malpractice, Medi-Cal lien reduction, insurance bad faith, employment, business litigation and civil procedure. Stevens is a member of the CAOC Amicus Curiae Committee and the AAJ Amicus Curiae Committee. 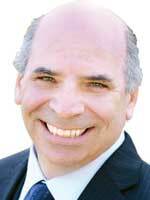 He is a member of CAALA’s Board of Governors, and served as Editor-in-Chief of Advocate for eight years. He is a recipient of CAALA’s Appellate Lawyer of the Year Award.